Two brothers killed during the First World War have been reunited on a War Memorial just in time for the 100th anniversary of the end of the war. The medals had been awarded to the Hine brothers, who lived in the East Devon village of Awliscombe, and came in to Chilcotts Auctioneers to be sold. Research carried out by Chilcotts uncovered the fact that although both were killed during the First World War, only one brother was commemorated on the War Memorial in the village. Private George Hine of the 8th Battalion, the Devonshire Regiment, was killed at the age of 24 on 14 July 1916 during the early days of the Battle of the Somme. His name appears on the Awliscombe War Memorial as well as the Thiepval Memorial to the Missing of the Somme. His brother James served in India with the Volunteer unit 2/4th Battalion, also of the Devonshire Regiment. He survived active service and was discharged but sadly died in August 1916. James was given a Commonwealth War Grave in Awliscombe churchyard – indicating that the War Commonwealth Graves Commission (CWGC) believed he died from an illness contracted whilst on active service. However, his name wasn’t included on the memorial, because he wasn’t actually on active service when he died. 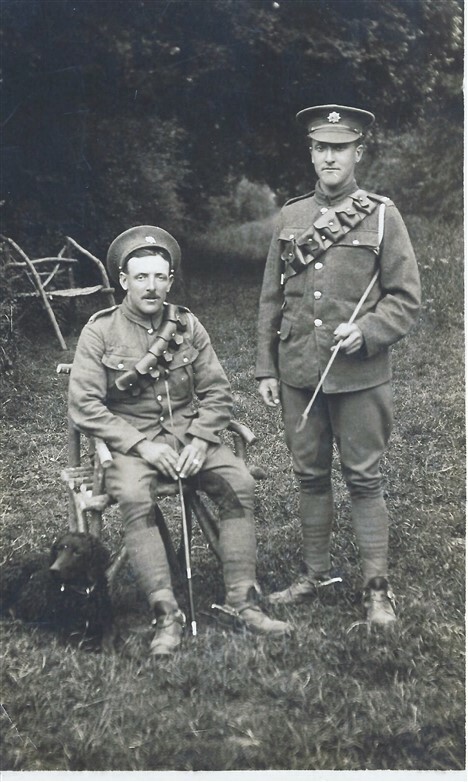 Auctioneer, Duncan Chilcott said: “At Chilcotts we all thought this was an injustice, because although James didn’t die in action, his death was a direct result his service during the war. Fate took a hand when Cynthia Underdown, the great niece of the brothers, became aware of the story. Mrs Underdown bought the medals when they were auctioned and determined to right the wrong. 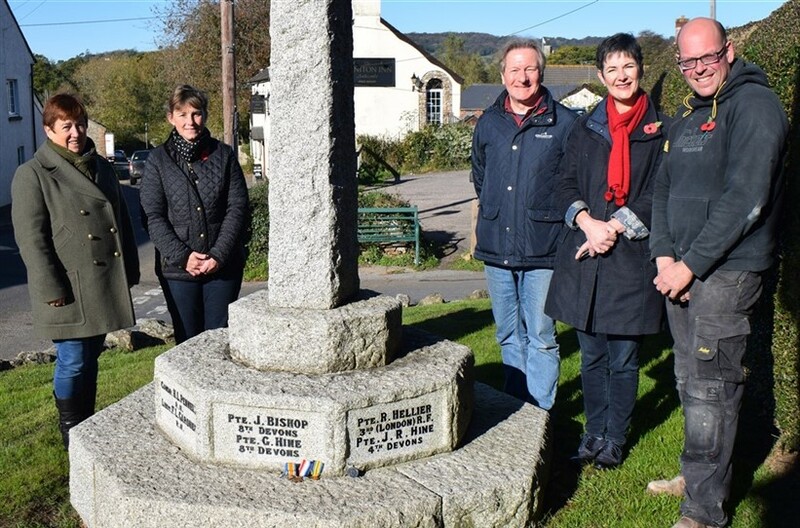 Awliscombe Parish Clerk Sally Maynard helped the process along with the Parish Council and the War Memorials Trust. And when no objections were raised to the addition of James’s name, Mrs Underdown contacted AG Real & Son Monumental Stonemasons to carry out the work. She was thrilled when they insisted on carrying out the work or free, as a special tribute to local people who had fought in the war. The two names are now side by side on the Memorial for all to see.